All women in a family way want their children to be healthy. One of the most important substances for the right development of the baby is folic acid, which you can find in some fruits and vegetables. The best way how to get the most of it is juicing. Learn more about folic acid and get some tips for the right juicer. We decided to find out which juicers are the most beneficial for expectant mothers, so we had them tested in a lab. The results were surprising: some juicers can get twice the folic acid from vegetables than other juicers. This is a significant difference, which can have an impact on both mom and baby. This second point is especially important during pregnancy. We conducted a laboratory test where one kilogram of carrots were processed by different juicers. After processing, we measured the amount of folic acid in the resulting juice. 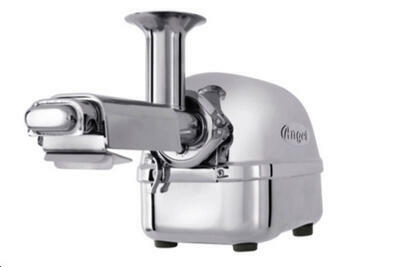 The winner was the Angel Juicer 7500, with a measurement of 3.01 µg of folic acid. 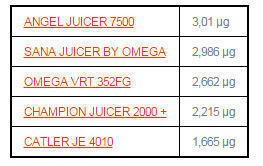 Just behind was the Sana Juicer by Omega EUJ-707 with 2.99 µg. You can see the complete results of our test in the table below. If you are planning to get pregnant and want the best for your baby, choosing the right juicer can make a difference.